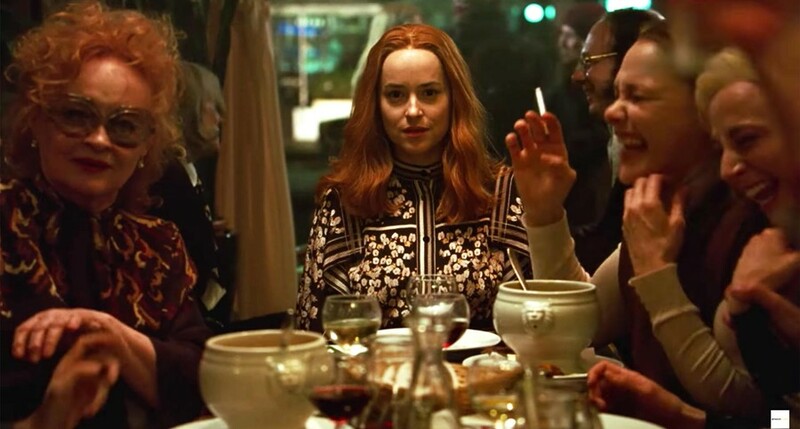 The first full-length trailer for Suspiria – one of the most anticipated films set for release this fall – has just dropped, announcing it will hit New York and LA cinemas on October 26, a week earlier than its scheduled debut. The remake of Dario Argento’s horror cult movie – first released in 1977 – will see Fifty Shades’ actress Dakota Johnson taking on the role of a young ballet dancer who moves to Germany to join an internationally renowned dance academy. Her new life comes with a sinister twist. Alongside Johnson, the starry cast also includes Tilda Swinton, Chloë Grace Moretz, Mia Goth and original Suspiria lead actress Jessica Harper. The film, directed by Luca Guadagnino from a script by David Kajganich, will feature a score by Radiohead’s frontman Thom Yorke. Suspiria, the Italian director's first cinematic effort since Call Me By Your Name, will debut at Venice Film Festival in early September before being released in the two U.S cities on October 26 and worldwide theatres on November 2. A while back, we heard that gruesome footage from the film was shown to an audience at CinemaCon – it showed Johnson doing ballet practice, but with each pirouette, a dancer in another studio was ripped apart in a mess of bones, blood, guts, urine, and spittle. Watch the terrifying full-length new trailer below, and head here to read everything we know about Guadagnino's much-awaited remake.